Do you feel as though despite your best efforts, you’re failing to get more landscaping customers or the wrong new ones? You might even feel as though you’ve dumped too much money into ineffective advertising time after time. Though you might be getting some return, it may not be what you had in mind when you began investing in landscaping marketing materials or efforts. If you’re having some of these feelings, you’re not alone. Many landscape companies have told us that they’ve struggled in trying to figure out marketing for their landscaping business. Whether you’re a B2B or a B2C company, your goal is the same—getting more of the right landscaping customers. That’s why you want a marketing approach that really works. At Include Software, we love sharing knowledge that we’ve learned if it can help landscape companies in any way. After all, this is the industry that we truly value. What we’ve found is that a marketing approach focused on the prospective customer and their needs (not one solely focused on our company and its success) has been much more effective in reaching new customers and truly connecting with them on a deeper level. We’ve found that a lot of landscape companies are also missing the mark on their messaging and it’s not resonating with prospects as a result. It may be time to look for a new approach, just like we did. This new approach to marketing messaging is based on the book, “Building a StoryBrand” and is unlike other processes out there and it’s something that our marketing agency, Landscape Leadership, took us through. Several of the landscaping companies we work with have also gone through this messaging revision process. 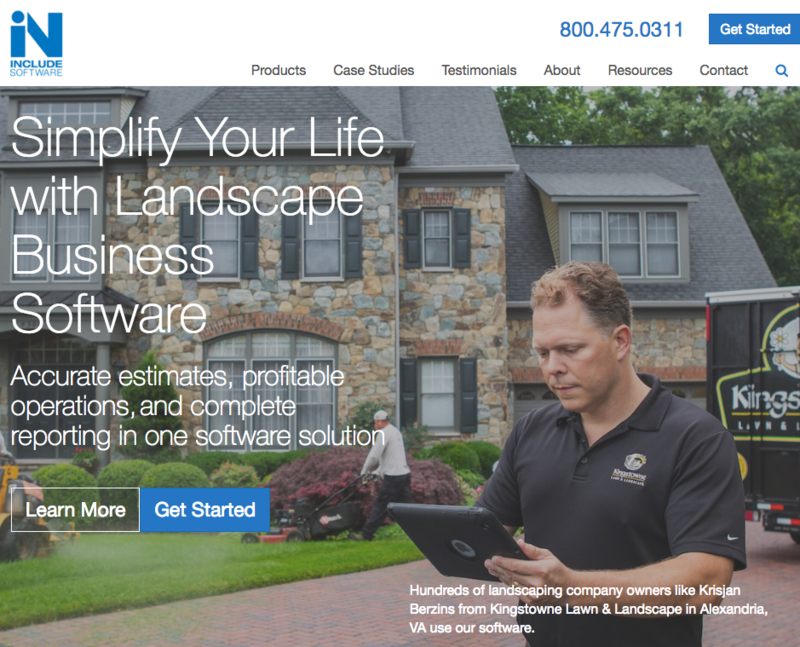 For Include Software, the results have been incredibly positive—as they have for two of the successful companies we talked to for this blog article: Kingstowne Lawn & Landscape (B2C) and Bluegrass Landscape & Snow Management (B2B). We asked them to walk us through the changes this messaging refinement process made for them. 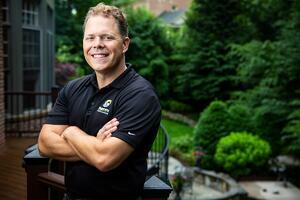 If you’re wondering how to get more landscaping customers, then you’ll want to hear the advice they have to offer. After all, making the right changes can help you stand out from your competition and get to the heart of what matters most to your prospects. Before diving any deeper into how the StoryBrand process helped these two successful companies, it would first be helpful to understand what that means. We realize that even if you’ve heard of it, you may not know exactly what StoryBrand is all about. 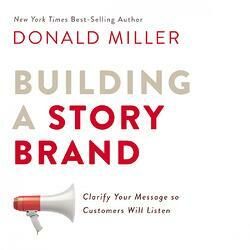 StoryBrand, which was created by best selling author, Donald Miller, and is a framework that will help your brand to tell a clear and compelling story. Its success lies in the idea that when your prospects can really connect with your business, that they’ll be more likely to buy from you. It also takes the traditional paradigm in which the company is the “hero of the story,” and turns it on its head—encouraging companies to make their customers the hero of the story. After all, when a potential landscaping customer comes to your website they are less interested in hearing about how wonderful your company is and more interested in learning about how you will solve their problems. That’s the key. Let’s look at how these two successful companies—Kingstowne and Bluegrass—made some vital changes to their messaging using this process. Both Kingstowne and Bluegrass found that they had some areas where they were getting their messaging wrong—even if subtle—when they went through this process. 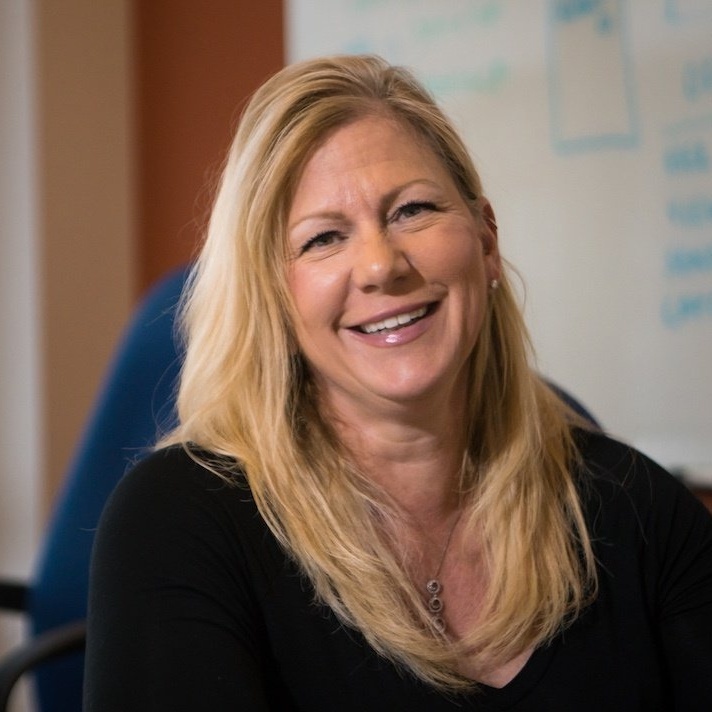 For Krisjan Berzins, President of Kingstowne, it became clear that there could be a more concerted effort to put the customer at the forefront of their messaging. 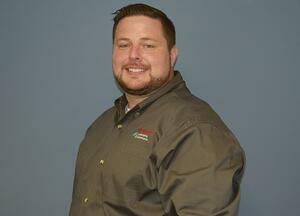 The idea that the “customer is the hero” was something that he says resonated with him. “I think it’s easy to get carried away with the idea that your website should be all about proving how great you are or what awards you’ve won or how awesome your trucks are,” Berzins says. “We weren’t going as over the top as some companies do with that but it came to light that we could make the customer even more of a hero than we were." For Bluegrass, Chris Darnell, the company’s Head of Business Development & Marketing, says that this marketing process helped with “clarifying the company’s message.” He says that with landscaping services it’s easy for clients to assume that one service is not all that different from the next. Darnell adds that in clarifying their message, they set out to differentiate Bluegrass from the pack. Another big part of this messaging process is to get to a place where you can truly empathize with your clients and understand their wants and needs. In order to do this, going through the process also involves determining what your clients’ biggest problems are. These problems are broken into three categories: external vs. internal vs. philosophical (obviously internal and philosophical being “deeper” and not always as obvious—but perhaps as, if not more, important). These are the obvious problems—the reasons why your potential landscaping customers are seeking help in the first place. An example of this for a landscape company might be something like, “I need a new patio” or “we need a vendor to maintain our HOA”. Internal problems are (like they sound) those internalized worries. They are not as obvious and your prospect might not even vocalize them. Even so, it’s your job to figure out what those common internal worries are for your typical customer. A philosophical problem is even deeper. It’s talked about with terms like “ought” and “should.” It’s what your prospective customer feels a solution should be able to provide them. Once you determine your customers’ problems and begin to develop landscaping marketing materials around that, then you want to show them how you can be their guide in terms of the solution. This marketing messaging approach illustrates that companies shouldn’t be heroes (again, the customer is the hero), they should be the guide to the hero. If you’re a Star Wars fan, think of it this way, you’re Yoda, the customer is Luke Skywalker. This is where you can show off some of your expertise and what sort of value they’d get out of hiring you. In addition to positioning yourself as the guide, you can also make another subtle push directing clients your way by showing them what success could look like and what failure could look like. Your landscaping marketing materials should position success as choosing the right company and having their problems solved. But it should also “dip into the failure bucket,” as the process describes, and show customers what could happen if their problems are not solved. They could go on making up excuses to have that party they want to have in their backyard or receiving more complaints from residents. Darnell echoes the same sentiments. At Include Software, we’re passionate about the landscaping industry. We also like that we’re able to share success tips in general, not just information on how landscaping companies are running more efficient organizations with landscape business software. That’s because we understand you have other areas of interest and are always looking for ways you can attract more of the right kind of new customers. Having been through this messaging refinement process ourselves, we’ve been able to witness the difference it’s made for our company in terms of our marketing success. We want to be able to pass that value on to you. You shouldn’t continue struggling with poor results from failed marketing campaigns. By implementing some of these concepts or even going through this messaging process yourself, we think you’ll find that you can improve your company’s messaging and attract more customers as a result. We love that innovative landscaping companies are always looking for ways to be better. If you want to talk about how using the right software is another way to improve your business, let’s explore and see what Asset can do for you.